When Anna is called in for a meeting with her superior, everything seems to be going well. But nothing is quite as it seems in this thriller of politics and disinformation set in 1930s Russia. A casual conversation quickly turns into a game of cat and mouse in which being the last to flinch may mean the difference between life and death. Who will claim the upper hand: those who suppress the truth, or those who will risk everything to liberate it? "Here is a Cold War fueled by that most heated of emotions---absolute fear. And the more polite the tone of the conversation, the more deadly it begins to feel." "THE LETTERS conveys a sense of abstract menace reminiscent of Pinter or Mamet... a nearly perfect evening of theater." "...taps into our own anxiety about surveillance states, with Lowell probing the psychological effects of being perpetually monitored in the name of security. THE LETTERS is a drama of thought control in Stalin’s Soviet Union, and it’s a good one — slick...with a Hitchcock-like grip. It is a cage match; only one of the combatants will get out." A Radio Play, A Funny Thing Happened on the Way to the Forum, Stones in His Pockets, Inherit the Wind, The Threepenny Opera, Moonlight and Magnolias, An Ideal Husband, The Night Hank Willliams Died, The Odd Couple, House and Garden, The Mystery of Edwin Drood, Rumors, Cat on a Hot Tin Roof, Kiss Me Kate, Travesties, and The Dead Presidents’ Club. He directed Austin Playhouse’s production of Sylvia and co-directed Speed the Plow. 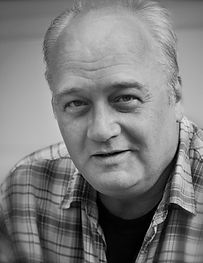 For more than ten years, Michael was the Artistic Director of OnStage Theatre Company, producing, directing, and acting in over forty productions including Harvey, Shirley Valentine and Ten Little Indians. Michael was recently seen at St. Edwards University in The Crucible, in Breaking String Theatre’s production of Ghosts, and at ZACH Theatre in August: Osage County and most recently in Harvey as Dr. William R. Chumley. Claire Grasso has previously appeared in Street Corner Arts’ Skylight and Waiting for Lefty. She is an Austin Playhouse Acting Company member and has appeared in Austin Playhouse productions of The Mystery of Edwin Drood, Shakespeare in Love, Silent Sky, The Explorers Club, The Norwegians, Chicago, She Stoops to Conquer, Roaring, The Liar, Man of La Mancha, Lady Windermere’s Fan, and A Room with a View. She has also appeared in Capital T Theatre’s Marie Antoinette and in Penfold Theatre Company’s It’s a Wonderful Life: a live radio play. 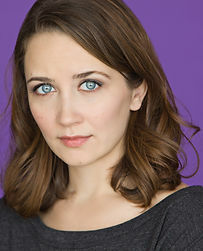 She holds a Bachelor of Arts in Musical Theatre from The University of Tulsa. Helen is a Theatre Studies major at The University of Texas at Austin with a Minor in Business. She currently works as an Event Manager at Hogg Memorial Auditorium. Her past credits include SLUMBER PARTY by Elizabeth Doss (UTNT), TITLE LOADING by alt_caps (Fusebox Festival and Cohen New Works Festival), and DRY LAND by Ruby Rae Spiegal (Grad Studio Project). She is excited to be working on MATAWAN by Dan Caffrey in the fall with UT. John W. Lowell plays include DRAWING FIRE, THE STANDBY LEAR, THE LETTERS, SHERIDAN SQUARE, AUTUMN CANTICLE, LEO TOLSTOY IS IN THE NEXT ROOM DYING, TWO WOMEN IN A GARDEN, THE GENIUS OF THE SYSTEM, TAKEN IN and RENSSELAER. Following its triumphant premiere in Los Angeles, THE LETTERS has been produced in Chicago, Berkeley, Alexandria, Santa Cruz, Orlando, etc., and his other work has been featured in theatre festivals around the country, including The Denver Center Festival of New Plays, which did the premiere professional reading of THE GENIUS OF THE SYSTEM. AUTUMN CANTICLE has received productions at the Walnut Street Theatre and the Celebration Theatre (2003 LA GLAAD award nominee), following a workshop production with the Eureka Theatre Company. LEO TOLSTOY… premiered at the San José Stages, and readings by The Acting Company Circle Repertory Company, etc. Mr. Lowell’s TAKEN IN premiered at the Richmond Triangle Players Theatre, and has since been produced in London, Lima, and Santa Cruz. Thursdays - Saturdays at 8 p.m.